Yesterday I have been to the World Port Days in my hometown Rotterdam together with a really good friend. I posted on Instagram already my favorite photo and you can see the blog post about it here –> Instagram | World Port Days 2016 Rotterdam. 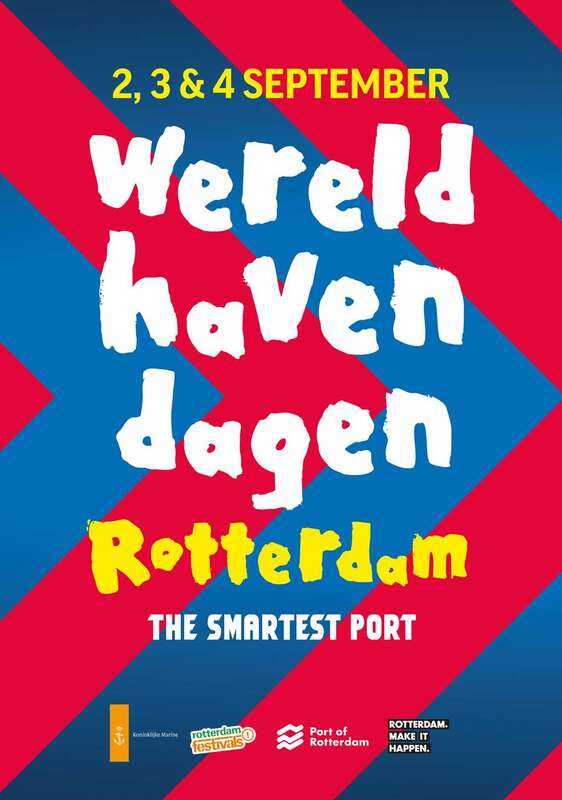 The theme of this edition of the World Port Days was ‘The Smartest Port’. Around the afternoon we started our tour through the harbour. At first we have seen a show of the Koninklijke Marine (Royal Netherlands Navy). And we walked around the Wilhelminakade with the famous ‘Hotel New York’ at the point. A nice view on the Maas and several demo’s from the fire brigade and other emergency services such as the KNRM (Royal Netherlands Sea Rescue Institution). After a while we walked back and crossed the Erasmusbridge to the other side of the Maas. There we had arranged to take a boat tour by Spido on the Maas and through the first part of the harbour. There are several sized boats in sailing for the boat tour and they are all from the company ‘Spido’. We sailed with the ‘Marco Polo‘ <– see link for more details. And from the boat we could also watch a rowing competition between some boats and we have seen porting the gigantic cruise ship ‘Pride of Rotterdam’ from P&O Ferries. You could have a cruise arrangement for just one day from the Erasmusbridge to the other end of the harbour of Rotterdam. A little two hours later we were walking along the Maas and passed by a little sailor market. Books, posters, photo’s, belts and of course ropes were plenty available to test and to buy. Do you know how to make a sailors knot? The last part of our afternoon program was our plan to visit a boat. We have visited the ‘Zr. Ms. Rotterdam‘, a gigantic ship of the navy! It has a crew of about 150 men at least and can held up to a 1000 men and has it’s own vehicle fleet park inside. Don’t know how to exactly describe it but you know a gigantic tailgate of a ship where boats, cars or whatever can be unloaded at land or at sea. They even have there own hospital and even surgery room for if there are badly wounded men in the fleet they’re sailing with. This ships stands during this year 2016 by for the NATO Response Force (NRF) so it is really a ship with a mission! And we feel lucky that we had a chance to visit it during those World Port Days. I have never seen nor visited such a big navy ship before. It left a big impression on me. We also visited the little ship next to it that also belongs to the Royal Netherlands Navy. On the way back to the Erasmusbridge we had some free water from Evides who provided free water all day for the visitors. In the evening we have watched one of the other highlights of the World Port Days. The evening show with lots of music, lights and sailing boats and at the end a fireworks show from the water – or from a pontoon I believe. The music was performed by the ‘Marinierskapel der Koninklijke Marine’ and some artists such as Maan with her single ‘Perfect World’ I have written previously about. We thought that the ship were the music and light show was performed, was resting in the middle of the Maas facing the Erasmusbridge. Resting on a pontoon. Wondrous, have never seen a ship in the middle of the river in that way before. All together the day was beautiful with a spectacular fireworks end. nr. 16 Rivierenkaravaan / Gemeente Rotterdam / Sarens Nederland B.V.
nr. 8 Damen Shipyards Group / Broekman Logistics / Move4MS / Van der Vlist Transportgroep B.V. / Extra Talent Logistiek / Van Oord Dredging and Marine Contractors B.V.
Have you also visited the World Port Days?